If you think this post is about a cursed island in Indonesia named Java, you’re wrong. This time, I’ll be talking about a programming language, named Java too. Well, here’s a brief history about Java and how it got its logo. A few years back, a man traveled to Java Indonesia to have a relaxing vacation. He was a computer genius and loves programming. So one evening while he was drinking a cup of coffee, a new programming language struck his mind. And there, a new programming language was discovered. He then named the programming language after the island, Java! Since that man was drinking coffee at that moment, he decided to design the logo with a coffee cup and wavy steam evaporating from it. Looks almost like my very own coffee cup. Currently, Java is famously used worldwide. Even here in INTI-UC, Computing & IT students will come across Java. Not Java Indonesia, I repeat. This was the first thing I learned during my first Java Lesson. I believe the coding above is simple enough for everyone to understand. Basically the output for this coding is the word “INTI”. Initially, everything about was fine. The learning process of the fundamental of Java is uncomplicated and understandable. 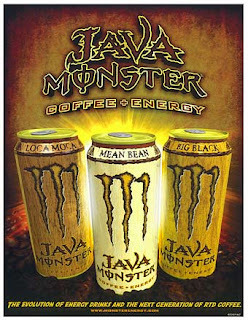 However, as I gradually explore the unknown terrain of Java, three horrendous monsters got in my way! *Argh* Runnnnn! I’m currently enrolled in Advanced Programming, a very crucial subject for my program, and I find it difficult to actually understand. My current lecturer teaches so fast and he expects us to be as fast as him. Oh come on, he’s an experienced programmer. How can we Java noobies be as good as him? Besides, many students go into Computing & IT, get a degree, then realize that they don’t really want a traditional computer job as a programmer, network administrator, database administrator, analyst, tech support person and so on. According to people, majority of Computing & IT graduates ended up doing business! Oh well, I think the best way to overcome this dilemma is by practicing. Come let’s try to understand this chunk of coding. Do you understand? Neither do I. Darn it! Anyway, here are pictures depicting interesting things about programmers. Programmers always hope their child will learn Da-da Ja-va too. Oh well, do wish me luck in my Java. This is simply a great post! This is simply a funny post. Hilarious. I remembered during my college years that some people just get it or don’t with programming. I don’t know why but I believe every people has their own strength and aptitude to learn. The most important is never skip fundamentals. OO, Algorithms and Data Structure are the essence of a good programmer. Learn the basic syntax and concept first, get familiar with OO design, be efficient in algorithms and apply techniques from it. Get good books. I recommend reading Pragmatic Programmers book series. Don’t limit yourself to just one language, do PHP, python or even ruby as it will open your eyes and it may help you being a better programmer. Go check out dzone.com, slashdot, etc for the latest news from developers and the general IT world. After a few years working as a programmer, you’ll get the hang of it. Pass a certain level of complexity, then everything seems ok. So I wish you all the best and good luck in your programming endeavors. Good luck Ken Wooi. Java is fun.